Most Web-savvy travelers know how to find cheap airfares, hotel rooms, and rental cars on comparison sites such as Kayak.com and Farecast.com, or on the big booking sites (Expedia, Orbitz, Travelocity, and the like). 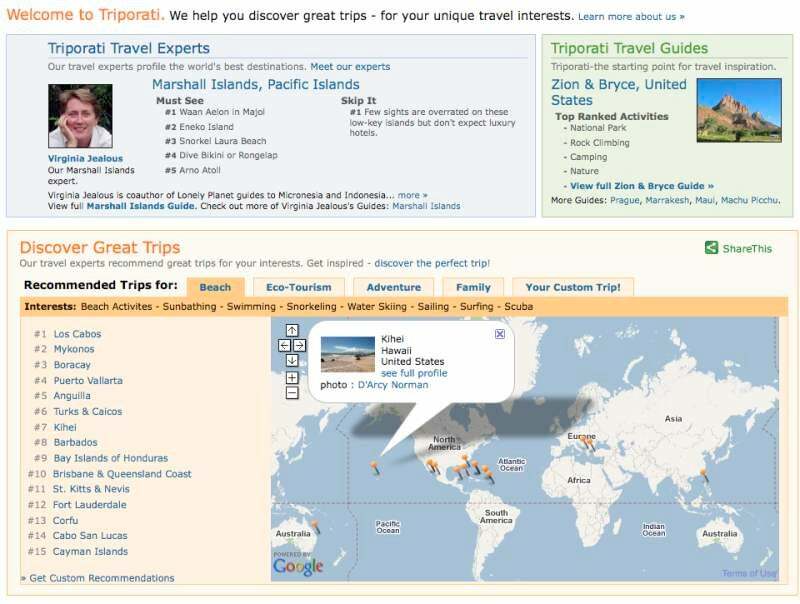 But last year, dozens of Web 2.0 travel sites jumped in to fill new niches in travel planning. Here's a selection of sites (many of them still in beta testing) that might help with your plans. 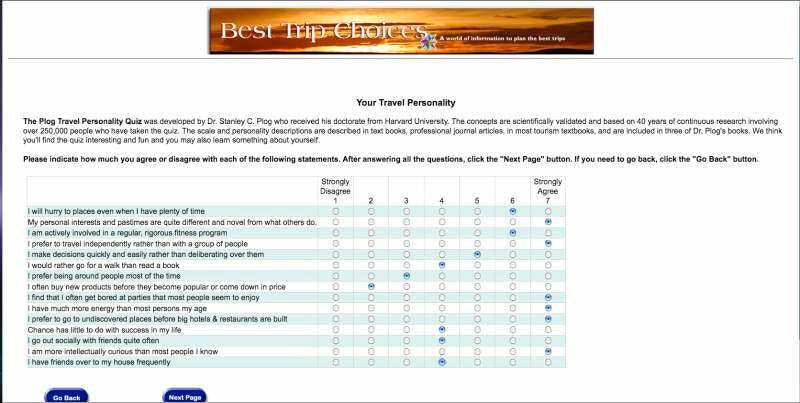 The 15-question Plog Travel Personality quiz on Best Trip Choices classifies people along a six-category continuum from Venturers, who like striking out alone for remote locales, to Authentics, for whom a resort vacation is probably adventure enough. Reading about your type is a bit like reading the results of a magazine's compatibility quiz. Travel Muse has an Inspiration Finder feature that crunches the data you enter (including interests, budget, and how long a flight you're willing to endure) to come up with suggestions of places to go. Similarly, TravelMuse, Tripbase, and Triporati present destination suggestions based on your interests (which you identify on supplied lists or tags); TravelMuse and Tripbase also factor in your budget, and TravelMuse asks you how much time you're willing to spend en route. All three sites provide reviews, maps, and other content, including links to booking sites. These sites offer some specialized features, too. Triporati's Facebook app lets you find friends who share specific travel-related interests. Tripbase returns per-diem costs for its suggested destinations. 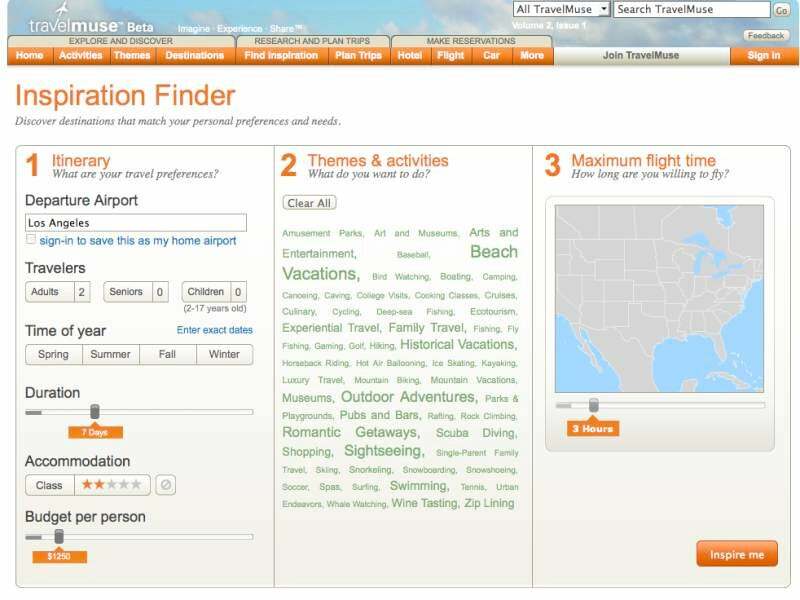 And TravelMuse provides tools to help you collaborate on travel plans with friends. If you're considering a cruise or an organized tour, a good place to start shopping is at Travelbeen.com, which debuted in seven countries last year with the goal of incorporating every travel Web site on the planet into its "social search engine." One of TravelBeen's more unusual features is its ability to perform searches for travel suppliers by specialized criteria. If you're looking for an eco-tour in Costa Rica or a "clean cruise" to Antarctica, for example, you can elect to see only companies that adhere to strict accreditation standards. A shortcoming: Though accreditations are noted, they aren't explained. For example, you can call up a list of cruise lines that belong to the International Association of Antarctica Tour Operators, but it's up to you to know how those lines differ from lines that aren't members. DealBase presents hotel deals in an easy-to-navigate interface that informs you at a glance about booking deadlines and how much you're saving off the rack rate. Go deeper to see exactly what the included amenities are worth and what the total package would cost without the discount. 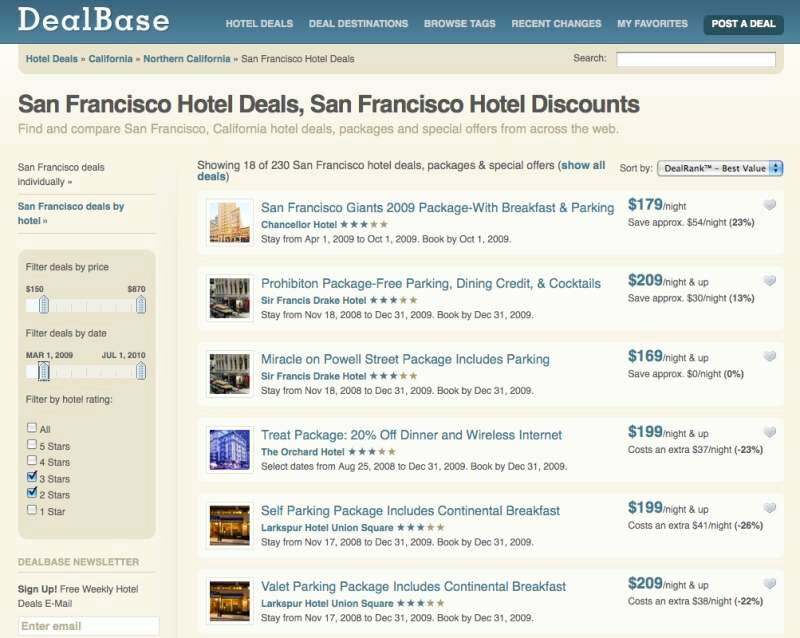 If you're looking for a hotel deal, try DealBase. Its Deal Analyzer technology promises to spare you from having to sift through reams of fine print by presenting the key criteria for each listing--price, savings off rack rate, and terms of booking (for example, dates of stay and deadline for booking)--in just three lines of type. Drill down to filter by category or interest (golf, beach, four-star, and so on), bookmark your favorites, and come back to view them as a list.